Around 8 to 12 months of age, a baby’s two front teeth usually peek out of the gums. Understandably, most parents can’t resist this first toothy smile. But our dentists know, the first teeth to arrive are the first to be at risk of tooth decay. To protect these precious teeth from decay, keep reading. 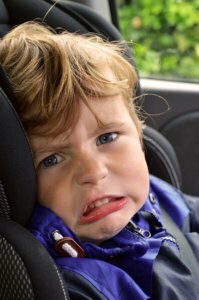 When baby’s front upper teeth suffer from cavities, it’s commonly referred to as “baby bottle tooth decay,” and often this decay requires fillings (see why HERE). The term is only partially correct, though. It’s not just bottle-fed babies who are at risk for this early tooth decay; nursing infants are at risk, too! There are steps all parents and caregivers can follow to prevent tooth decay in infant and toddlers. First, you need to know how decay starts. Before we can discuss effective prevention, we need to understand what leads to a cavity in the first place. The first part of the answer is, not surprisingly, exposure to sugars and starches. Whenever baby drinks formula, breast milk, or juice, the teeth are exposed to sugars. These sugars then feed bacteria in baby’s mouth. Then these bacteria release harmful acids that damage tooth enamel, the outer layer of the tooth. Once the enamel is damaged, the tooth is vulnerable to decay. What can I do at home to prevent early tooth decay? Parents should be relieved to hear that there’s plenty they can do to prevent this process from progressing. In fact, there are 9 simple tips you can follow to help keep your toddler cavity free. 1. DO gently clean baby’s mouth with a clean, damp cloth after meals. Cavity prevention starts even before that first little tooth pops up. Every time after baby nurses or has a bottle, wipe bacteria and sugars off of gums by gently rubbing them with a clean, damp cloth or piece of gauze. Or if you prefer, use sorbitol wipes. No matter which option you use, the intent is the same: You want to wipe away those sugars after feedings before they have time to feed nasty bacteria. 2. DO use the right amount of fluoride toothpaste for your child’s age. Many parents mistakenly believe that they need to wait until their child is 3 or 4 years of age before using a toothpaste with fluoride. That’s not true, though! The key is to use the right, safe amount for each age. For children younger than three years of age, use only a smear (grain of rice amount) of fluoride toothpaste does the trick. For children three years and up, a pea-sized amount of fluoride toothpaste is appropriate. Don’t worry. If they swallow these small amounts, no harm will come! Learning to brush thoroughly takes time and practice! Most children continue to need help and supervision until they are 6 to 8 years old. That means parents need to help kids by learn to brush by brushing for them, setting timers, modeling on themselves, and establishing routines. The earlier you start, the easier time you’ll have keeping them brushing as they get older and the novelty wears off, too. 4. DO take your baby to a Pediatric Dentist when they get their first tooth or by one year of age, whichever comes first. Another common myth out there is that kids don’t need to see a dentist until they are 3 or 4 years of age. We beg to differ! A Pediatric Dentist has special training to help detect early tooth decay and other oral and facial development issues that can occur. Furthermore, research shows that one visit by age one can keep your toddler and child cavity free! In short, early dental visits set your toddler and child up for cavity-free visits for years to come! 5.DON’T send baby to bed with a bottle. Remember, sugars from formula, breast milk, and juice will feed the bacteria that lead to cavities. The longer the sugars sit on the gums or pool in the corners of baby’s mouth the more likely they are to have time to grow those bacteria. So if your baby or toddler needs the comfort of a bottle at nap or bedtime, only offer water for these times. No exceptions! 6. DON’T dip pacifiers in sweet or sugary liquids. 7. DON’T share utensils with your child. As tempting as it is to give baby a taste from your fork or spoon, doing so can expose your child to the bacteria from your own mouth. Your bacteria may be more likely to produce acids that are more harmful to your child’s teeth. 8. DON’T put baby’s pacifier in your mouth. We get it. You’re in Target, the binky pops out, and the bathroom is all the way back at the opposite end of the store. It may seem like a good idea to “clean” dirt off of a dropped pacifier by putting in your mouth first, but doing so is like sharing a fork or a spoon—it exposes baby to the bacteria in your mouth. It’s a better idea to use running water to rinse it off–even if that means trudging back through Target to do so. 9. DON’T put anything besides water in sippy cups. While sippy cups may help avoid spills, they aren’t much different from bottles in how they put teeth in contact with liquids. If your child needs the convenience of a sippy cup, only offer water in it. Don’t let them walk around with juice or milk. Need a quick, easy way to remember these tips? Here’s a chart helping remind you how to prevent tooth decay in toddlers. For any questions or concerns about baby bottle tooth decay or ways to prevent it, schedule a visit with our practice today. 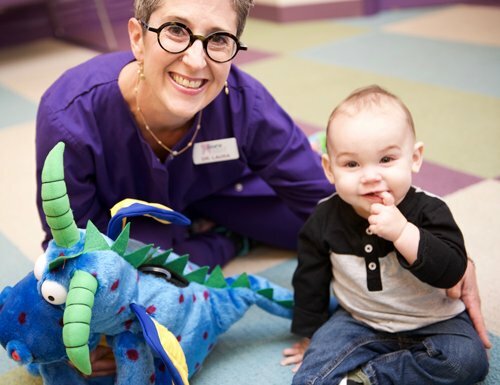 Our Twinsburg, Ohio pediatric dentists Dr. Laura Adelman and Dr. Rachel Rosen are here to help your child enjoy the best oral health possible! You can call our office at (330) 425-1885. *This blog is intended to inform readers, not serve as medical advice.